On-site pathology testing is allowing remote Indigenous communities in Australia’s Northern Territory to receive effective emergency medical treatment close to home, while saving governments millions according to researchers. 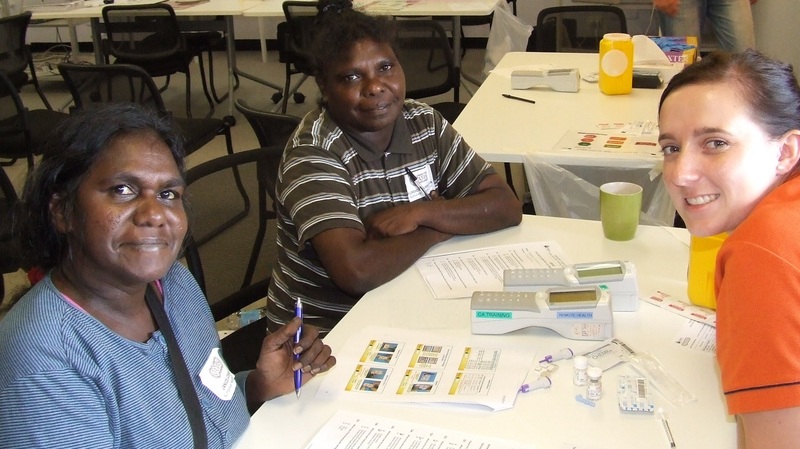 In a research study funded by the Emergency Medicine Foundation (EMF), a Flinders University research team assessed both the medical and cost benefits of using on-site pathology testing, or Point-of-Care-Testing (POCT), for acute medical care in six remote health clinics in the Northern Territory over a six month period. “Up to now, we had very little hard research data to support the cost benefits of using POCT, it was mostly anecdotal,” said Ms Spaeth. “We now have proof that the POC technology improved the clinical and operational outcomes for acutely ill patients in remote communities in the Northern Territory. It also reduced the need for medical evacuations by up to 35% in the clinical conditions investigated, which has led to significant cost savings for Territory healthcare system,” she said. The research team evaluated the use of a POCT for 200 patients suffering from either acute chest pain, acute diarrhoea or acute renal failure. The investigator team including Flinders’ Head of Health Economics, Associate Professor Billingsley Kaambwa, found that having access to POCT avoided the medical evacuation of 60 patients which, when extrapolated Territory-wide, resulted in estimated total cost savings of $21.75 million per year. Access to POCT also enabled early diagnosis, treatment and appropriate evacuation for 21 patients. The benefits of POCT extended even further for Indigenous communities, according to Dr Rodney Omond, who collected the medical data for the study as the Senior Rural Medical Practitioner – Education & Training and Clinical Director for Low Acuity Medical Retrievals, Top End Health Service, Northern Territory Department Health. “Patients in remote Indigenous communities experience a greater sense of isolation if they are removed from their community and put in hospital,” said Dr Omond. “Having the ability to remain in community for medical care is important for Indigenous Australians and that’s what we’ve shown POCT is allowing us to do, which is quite significant as a culturally appropriate outcome,” he said. “As a doctor working in remote communities, I value POCT because it gives me vital information for making timely decisions about patient care. “EMF was pleased to be able to fund this important research, which demonstrates the value of adopting POCT in rural and remote health centres,” said Dr Bell. The EMF grant was made possible by donations from Zoll Medical Australia and philanthropic donations. The results from this research were published online in the international journal ClinicoEconomics and Outcomes Research. Photo: Brooke Spaeth, Flinders University Research Officer and Coordinator of the Northern Territory Point-of-Care Testing Program, featured training Aboriginal Health Workers (Janice and Florence) to conduct INR testing on the i-STAT device to monitor the blood clotting status of patient’s on anticoagulation medication.